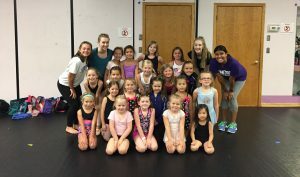 Here are answers to the most frequently asked questions at Metro Dance Center. 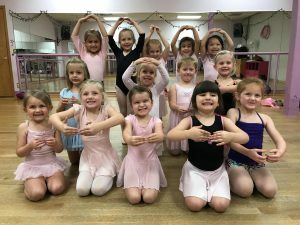 Does my dancer have to perform in the spring recital? Most dancers choose to participate in the spring recital. However, dancers are not required to. Dancers are welcome to take classes and opt out of the spring recital. Our main session of classes run from early September through the end of May and culminate in a spring recital in early June. We accept enrollments in our classes through the end of January. When you register, you have a spot in the class for the entire season, but can end your dancer’s enrollment at any time. We also offer a summer session which runs from late June-early August. Yes-we love hosting birthday parties! 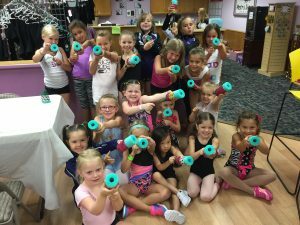 Are you interested in having a party at Metro Dance Center? Here’s the scoop on our Birthday Parties. Yes, please click here for our calendar which includes all days we are closed. Please note, the monthly tuition rate is based on a set number of classes for the season. The monthly tuition rate does not change based on the number of classes in a given month. New students receive 50% off the first month of tuition. Families with more than one student receive 10% off the lower priced family member’s tuition. Save 10% if you pay the full year’s tuition by the first day of class. Generally, payments are due on the first of the month. Occasionally the due date will be slightly later, please check your bill for the due date. What shoes & clothing should my student wear? There is not a specific dress code for dancers in our recreational classes. However, dancers are expected to wear dance or athletic apparel. This includes things like leotards, bike shorts, tank top/t-shirts, etc. Students should not wear jeans, dresses/skirts etc. The following shoes are required for the following classes. For your convenience, we sell all required shoes.